Early of this month, our team joined the other members of the media for an exclusive plant tour at Tan Chong Motor Assemblies’ (TCMA) Serendah plant in Rawang. On the same day, we have tested the Almera on the their private test track. 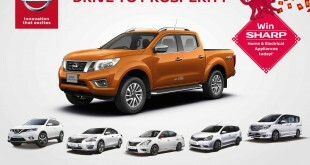 Indeed, the tour was held in conjunction with the earlier announcement that Nissan’s latest offering to the local assembled “B-segment” sedan in Malaysia – the Nissan Almera. Apparently, the Nissan Almera is sold in 194 countries and is currently Nissan’s best-selling global sedan. The same car is also known as Sunny in China & Versa in United States. 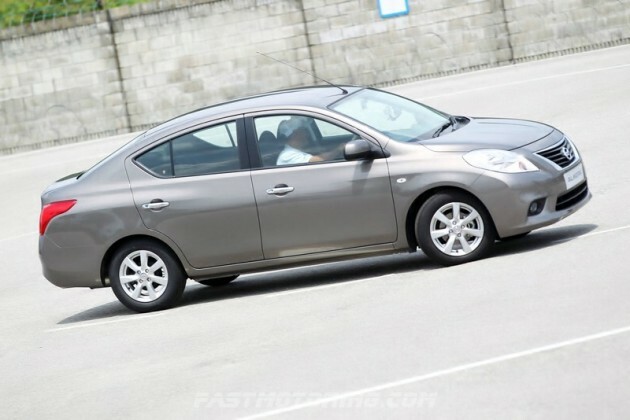 Edaran Tan Chong Motor is set to introduce the Almera into the local market in Q4 2012. Tan Chong has already taken steps to prepare their production lines to accommodate the assembly of the Almera to ensure a steady supply of cars. In fact, Tan Chong Motor Group has plans to further expand its operations at its facility in Serendah to ensure that the Almera rolls off the assembly floor as efficiently as possible. 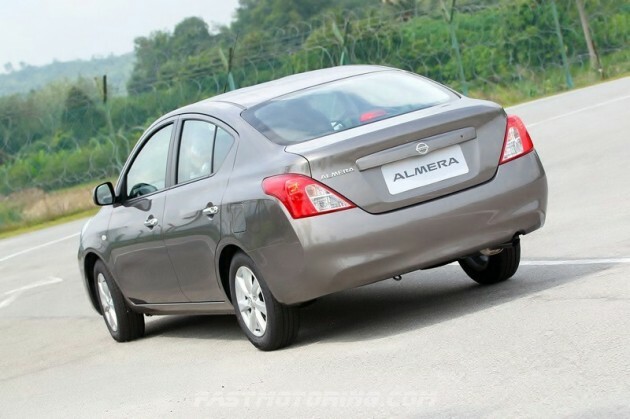 More production shifts and extra manpower will be put in to assembling the Almera when it is launched. Technically, the new Nissan Almera is built on the all-new global “V” platform – The V stands for Versatile. The Almera utilizes a lightweight yet rigid body and is powered by the latest 1.5-litre HR15DE engine with a Continuously Variable-valve Timing Control (CVTC), which mated with a new lighter and compact 4-speed automatic transmission. The HR15DE engine outputs 102PS and a maximum torque of 139Nm. 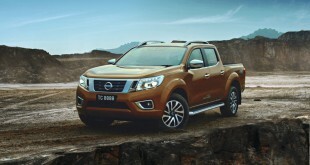 According to Nissan, the fuel efficiency is capable up to 14.9 km/litre under combined cycle. 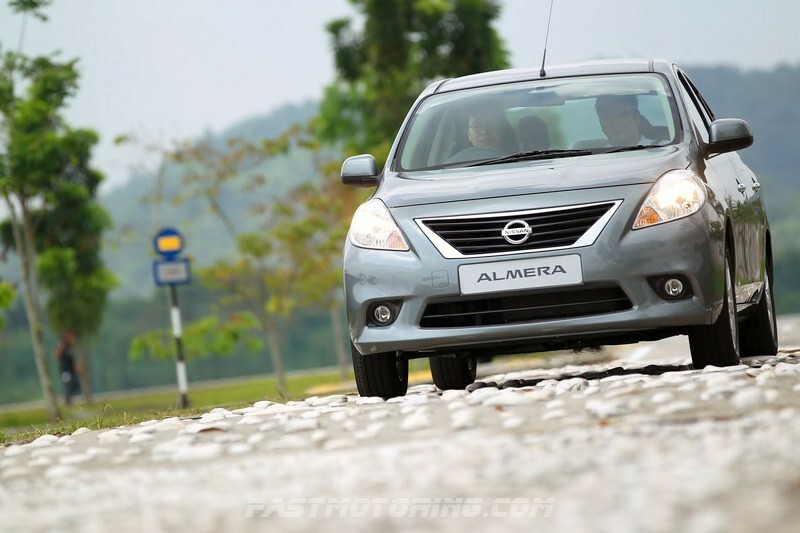 In Malaysia, the Nissan Almera offers in three grades – E (M/T or A/T), V (A/T), and VL (A/T). 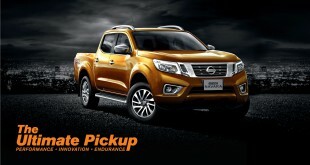 The entry E grade in manual or auto transmission comes with remote keyless entry & alarm, single airbag, 15-inch steel wheels with covers, and standard combi-meter. The middle range V grade, it comes with dual airbags, 15-inch alloy wheels instead of steel wheels, self illuminated combi-meter and fog lamps. For the top of the range – VL grade, it come with intelligent key with trunk release and alarm, push-to-start button, auto climate system with LCD display and illuminated steering wheel audio controls. The intelligent key system is similar to Teana or 370Z. Thanks to a great combination of lightweight gearbox and body, the small 1.5-litre with 102PS and 139Nm is reasonably responsive. The ride comfort is one of the highlights as well. The suspension is having 15% longer stroke than the Nissan Latio to ensure better ride smoothness, especially on Malaysian road condition. The innovative roof design is somewhat inherited from the 370Z Coupe to the Almera for enhanced NVH. After experiencing the new Nissan Almera as a driver as well as a passenger, I couldn’t deny that Almera is very spacious and versatile. The legroom for the Nissan Almera is absolutely stunning! I doubt there are no other sedans from B or C segment, which allow you to lift your leg up as if sitting on a limousine. Additionally, the trunk space is also large to fit many shopping bags and small cargo. Lastly, I would conclude the new Nissan Almera is definitely a practical family car to commuting in the town. 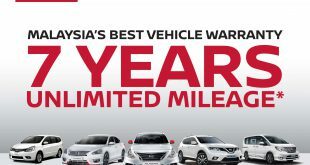 With the amount of room space, features and values, it does pressure its opponents like Toyota Vios or Honda City in the market. It won’t be long, I bet we will be able to see many Almera cruising on the road. Last but not least, the Nissan Almera open for reservation since 6th September 2012 and will be officially launched in Q4 2012.